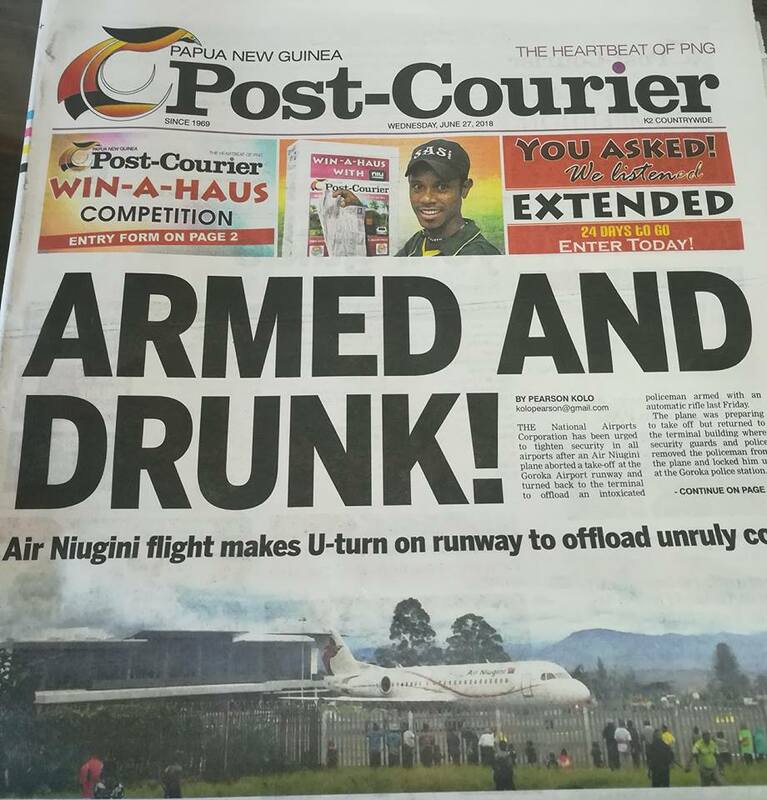 Air Niugini has denied outright a headline story in Wednesday's Post Courier (“Armed and Drunk”) alleging that a policeman had a firearm in his possession when he boarded a Fokker 70 aircraft in Goroka on Friday, 22nd June, 2018. The airline can confirm that the policeman at the centre of controversy boarded the aircraft without any firearm. Air Niuginis General Manager Corporate Services, Mr Marco McConnell, said all due processes were followed in Goroka to ensure the policeman boarded the aircraft unarmed and that the safety of passengers, crew and the aircraft was not compromised in any way. “Post Courier has misled the public with its headline. It is very disappointing to see a reporter writing a sensationalist and incorrect story without getting his facts right first. Such a story not only reflects negatively on Air Niugini but also Papua New Guinea as a whole, especially now that we have APEC coming up. Mr McConnell also said ANG staff in Goroka have confirmed that the concerned policeman appeared to be normal during check in and security screening therefore the staff did not suspect, he was under the influence of alcohol. It was only onboard the aircraft and as it was taxiing out, the policeman stood up from his seat, the cabin crew then advised the officer regarding safety procedures, that was when he became unruly. As per safety procedures on board an aircraft, if a person disobeys safety instructions, the cabin crew has to alert the pilot in command; which she did and the pilot made the decision to return to the terminal. 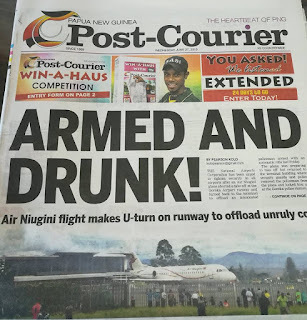 Air Niugini has also confirmed with Eastern Highlands Provincial Police Commander, David Seine Jnr who denied outright having any form of communication with any reporter from Post Courier for which his name was mentioned as the source of information for yesterday's headline.